(4) Renghas: Gluta spp. and Melanorrhoea spp. (2) Resak: Cotylelobium spp., Vatica spp. and Upuna borneensis Sym. (7) White Seraya: Parashorea malaanonan (Blanco) Merr. 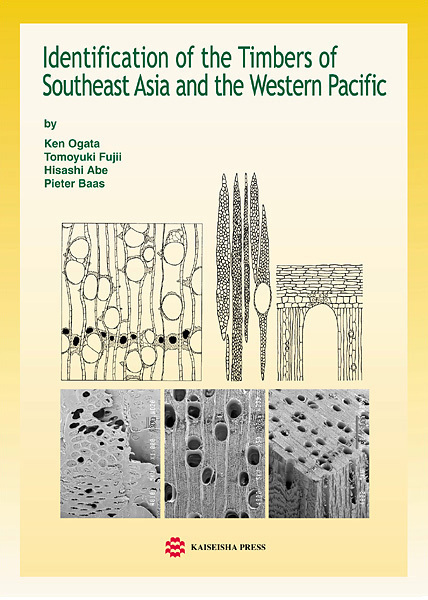 (9) White Meranti: Shorea (Sect. Anthoshorea) spp. (10) Yellow Meranti: Shorea (Sect. Richetioides) spp. (11) Red Meranti: Shorea (Sect. Rubroshorea) spp. (12) Selangan Batu: Shorea (Sect. Shorea) spp. Marquesia and Monotes: Marquesia spp. and Monotes spp. (4) Para Rubber Tree: Hevea brasiliensis (Willd. ex A.L. Juss.) Muell.-Arg. (6) Pimelodendron: Pimelodendron amboinicum Hassk. (2) Mempening: Lithocarpus spp. and Quercus spp. (1) Malas: Homalium foetidum (Roxb.) Benth. (3) Pangi: Pangium edule Reinw. 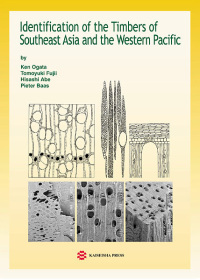 (6) Ceylon Ironwood: Mesua ferrea L.
(1) Belian: Eusideroxylon zwageri Teijsm. & Binnend. (2) Toog: Petersianthus quadrialatus (Merr.) Merr. (1) Acacia mangium: Acacia mangium Willd. (5) Kalapia: Kalappia celebica Kosterm. (8) Sepetir Paya: Pseudosindora palustris Sym. (2) Pericopsis: Pericopsis mooniana Thw. (3) Angsana: Pterocarpus indicus Willd. (1) Antiaris: Antiaris toxicaria Lesch. General microscopic characteristics of Myrtaceae and comments on Table 11 and Fig. 238 & 239. (2) Kayu Puteh: Melaleuca leucadendron (L.) L.
New Guinea Beech: Nothofagus spp. Kulim: Scorodocarpus borneensis (Baillon) Becc. (1) Carallia: Carallia brachiata (Lour.) Merr. (1) Kelampayan: Anthocephalus chinensis (Lamk) A. Rich. ex Walp. (2) Siamese Boxwood: Gardenia spp. (3) Haldu: Haldina cordifolia (Roxb.) Ridsd. (5) Nauclea and Neonauclea: Nauclea spp. and Neonauclea spp. (1) Kleinhovia: Kleinhovia hospita L.
(2) Amberoi: Pterocymbium beccarii K. Schum. Schima: Schima wallichii (DC.) Korth. (1) Gmelina: Gmelina arborea Roxb. (3) Teak: Tectona grandis L. f.